WELCOME TO THE WONDERFUL WORLD OF FISHAO! 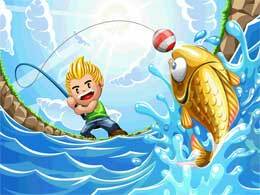 Take part in this fantastic social game fishing with thousands of players online. You can fish more than 150 different fish in many areas related to the real world. You can create your own character and talk with other people connected to the same game. Through play Fishao, you can make many new friends, compete in tournaments, complete quests, see your fishdex and many more options!